Strap doctor is a small but mighty solution to slipping, sliding and falling bra straps, camisole straps and even swimsuit straps. This tiny strip attaches underneath any strap to stop falling straps. Designed to be comfortable, reusable, and easy to apply. 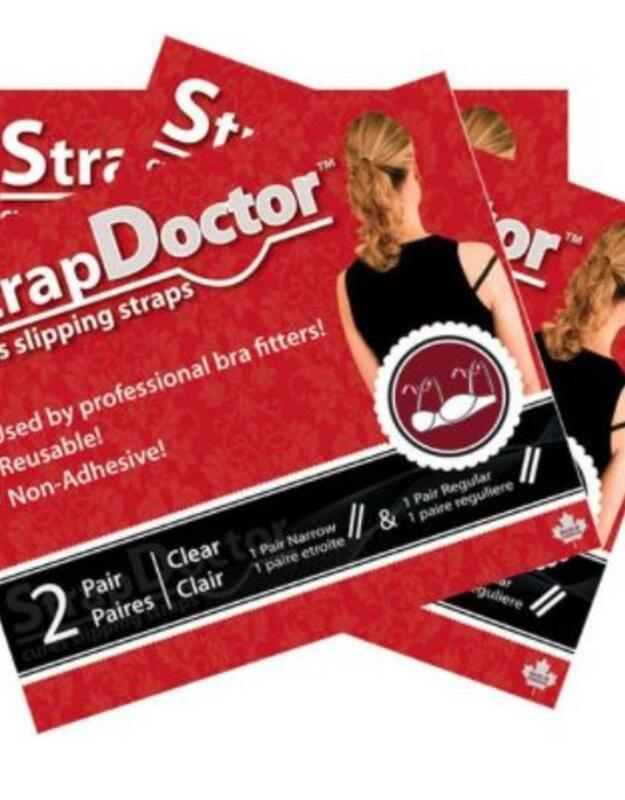 The annoyance of pulling up bra straps is now a thing of the past with StrapDoctor™.